Food consumption and its structure is significantly influenced by standard of living. But in addition, there are differences in the level and structure of food consumption, determined by characteristics and local habits. Given these considerations, in this chapter, starting from the mean consumption expenditure by detailed level, and the overall structure of consumption expenditure by detailed COICOP level (01-12 - Individual consumption expenditure of households), are analyzed the mean consumption expenditure per inhabitant, types of household, degrees of urbanization, and macro regions of Romania. Also are analyzed the correlations between the evolution of living standards and evolutions structure of consumption expenditure by type of household. The increase of economic and social development levels lead to larger or smaller changes of the structure of consumption expenditures by category of goods and services, as well as within them. According to Engel's Law, the largest shares of total expenditures of poor households are allocated to food consumption. In the case of developed countries the stability of the expenditure structure of consumption is higher than in developing countries and significantly different from the expenditure structure of average household income in underdeveloped countries. 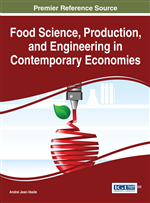 In a report of the United States Department of Agriculture (Muhammad, Seale, Meade & Regmi, 2011) which updates the international evidence of food consumption patterns using 2005 International Comparison Program (ICP) data, analyzing the incomes and expenditures from 144 countries, shows that in the countries with low income, 48.5% of it is used for food, beverages and tobacco, and in the countries with high income, the share is only 20,4% (2.37 times less), the ratio being inversely for medical and health expenditure share (8.9% in the countries with high income, compared to 4.5% in countries with low income) and for recreation (9.5% in the countries with high income, compared to 4.5% in countries with low income).